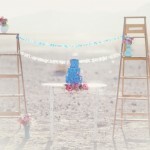 Want to see some magical wedding aisle style that’ll make your wedding stand out from the crowd? 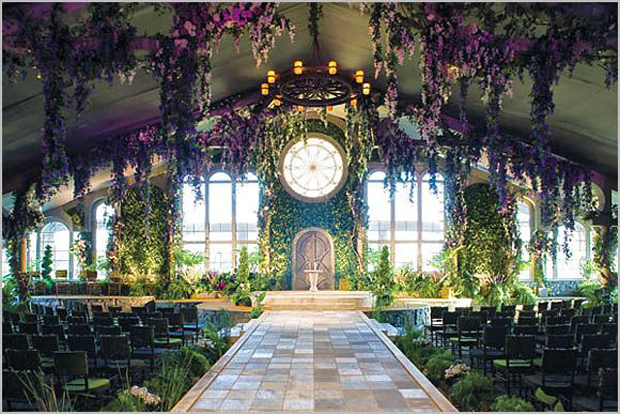 Your ceremony could look breathtakingly magical with these top 15 magical wedding ideas! 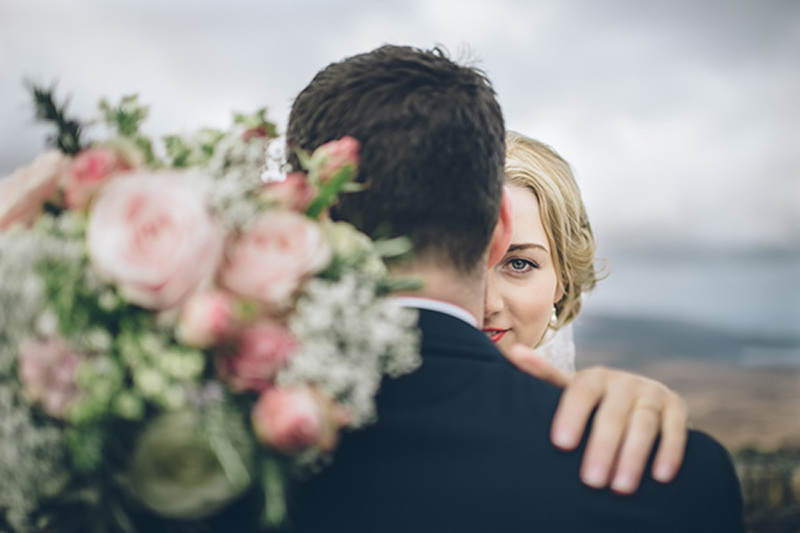 If it’s not romantic enough walking down the aisle to meet your husband-to-be and then saying your forever vows, imagine gliding down one of these pretty aisles… mind blown! 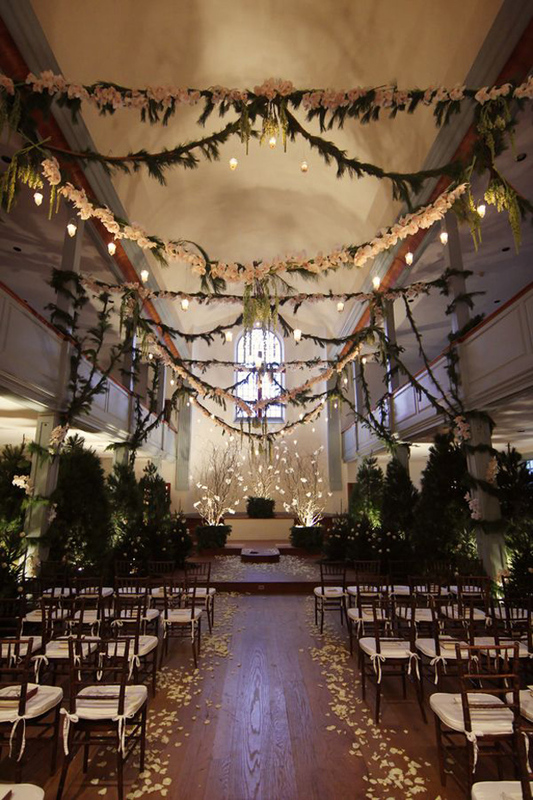 The aisle below is one seriously stunning aisle! I absolutely adore the gold glitter aisle runner and modern ghost chairs. The hanging bulbs and candles complete this uber chic space. 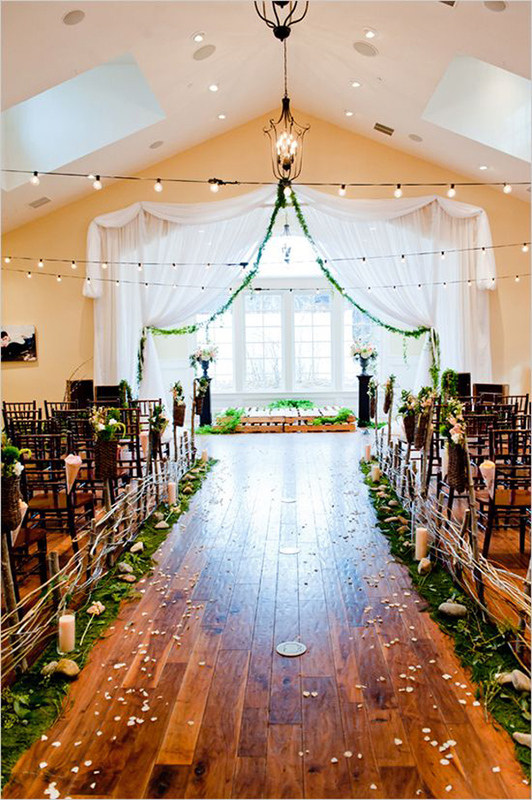 The flower garlands and lush greenery framing this pretty wedding aisle are magical without being too fussy. The scattering of petals and sparse lighting keep the look elegant and simple. 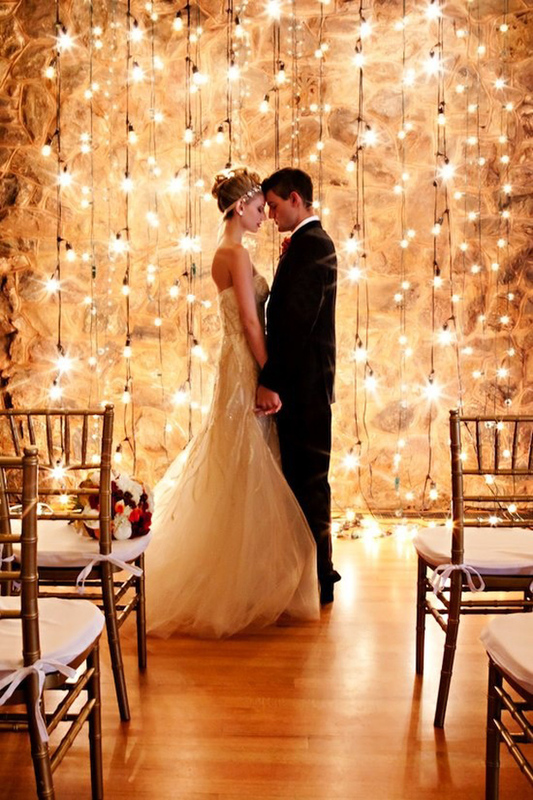 For a show stopping, blow your mind magical wedding aisle, how about a light strewn backdrop. Too pretty right? Or a chandelier! 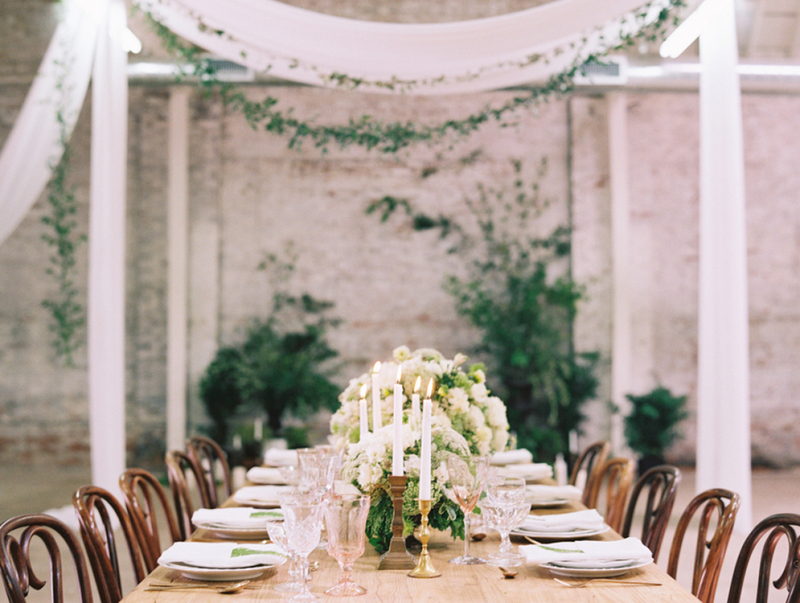 Planning a wedding in an urban or outdoor rustic space? 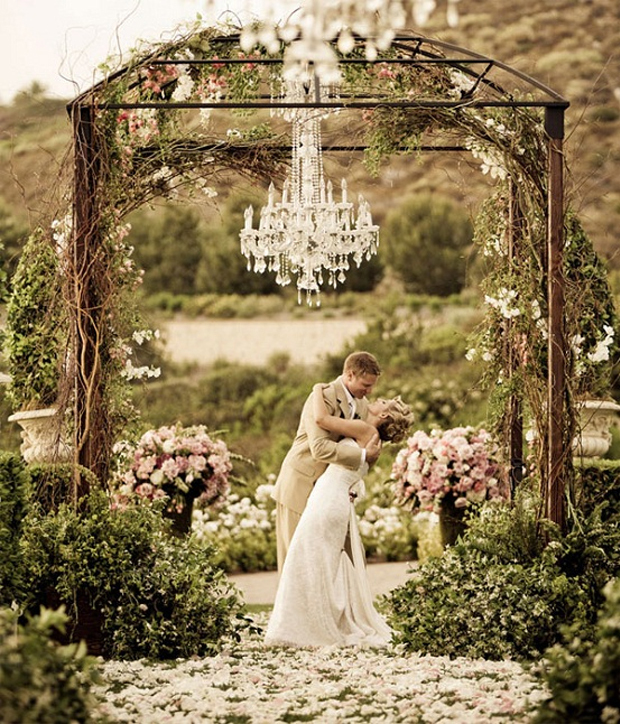 Chandeliers are the perfect way for ensuring your ceremony look magical. Fact. 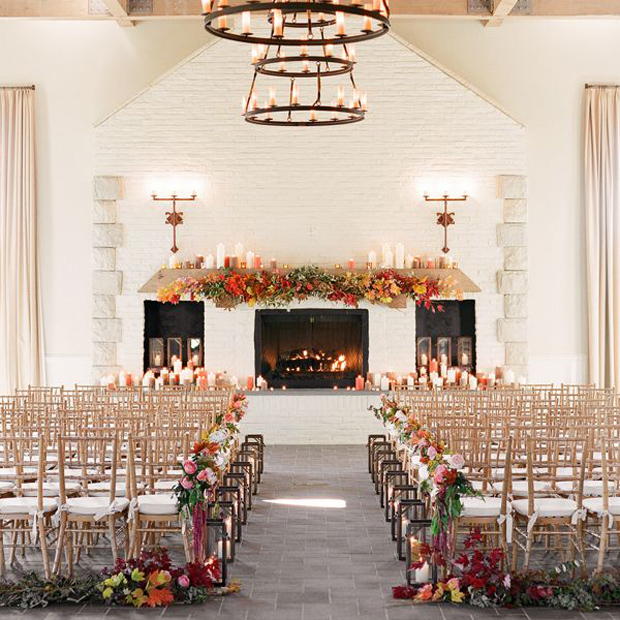 The white space below is brought to life by the autumnal, rustic styling. 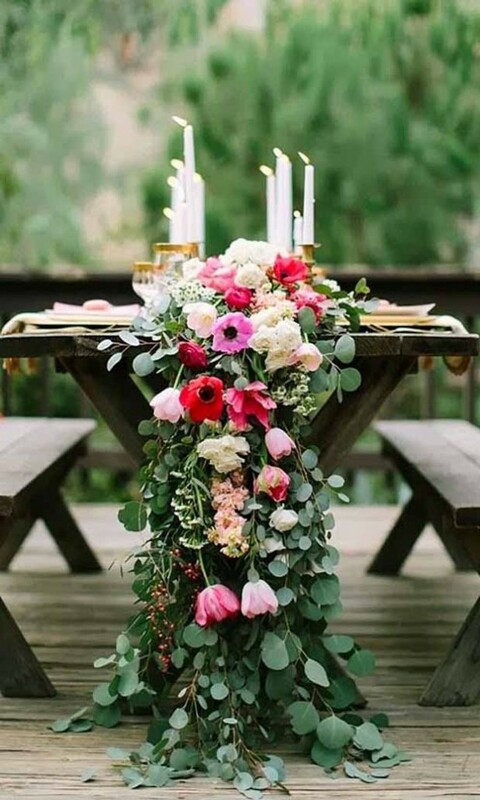 I’m a big fan of the earthy tones used in the flowers and candles. That chandelier is amazing too! 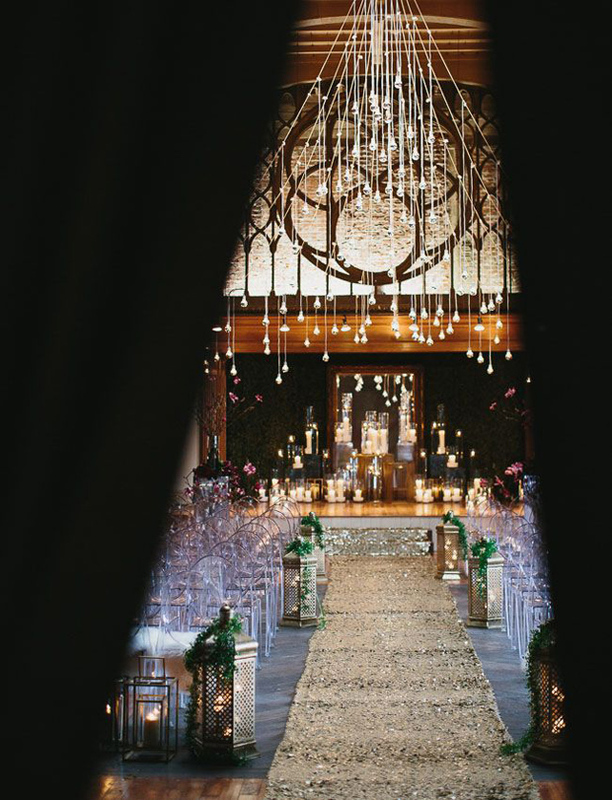 This following dreamy aisle looks super romantic with its flower arches and clear glass baubles. The romance factor is upped even further with the heaped piles of petals strewn around the pews. 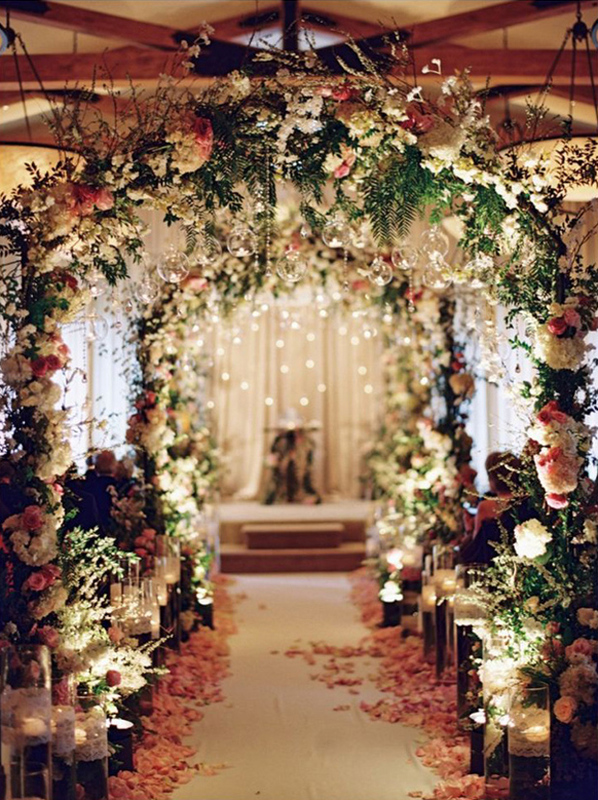 This wonderful whimsical wedding aisle looks enchanting! 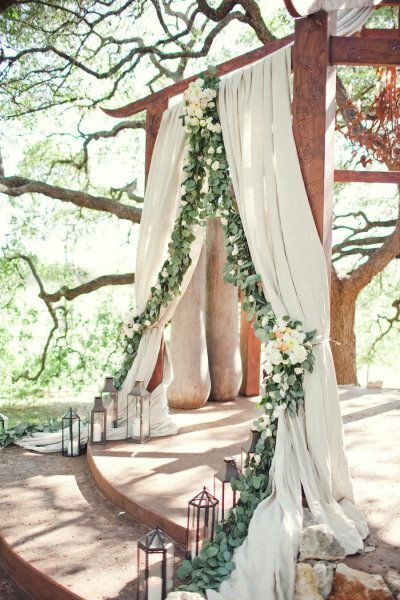 Loving the woodland style decor and leafy garland. Here we have another example of gold, except this time it’s gold confetti that’s scattered around. 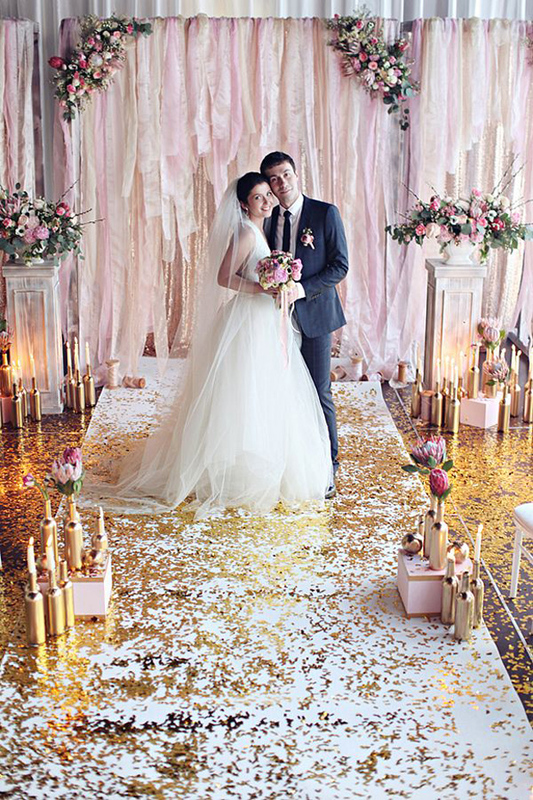 I’m loving the DIY chic of the pale pink and gold backdrop! 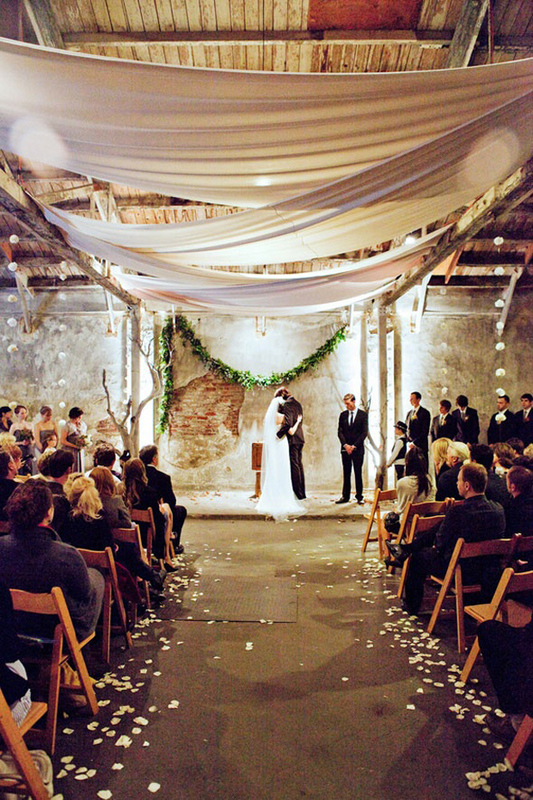 This wedding ceremony idea is AMAZING! 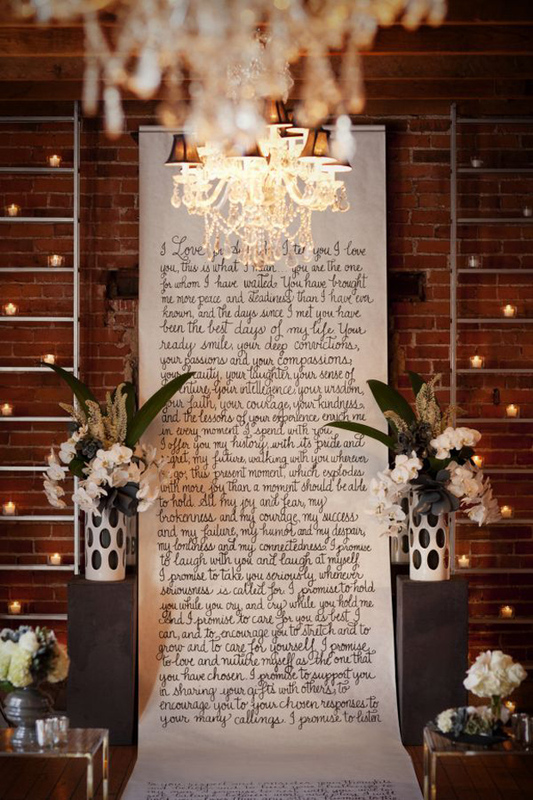 Imagine walking down the aisle and gliding over your own written declarations of love?! So sweet. 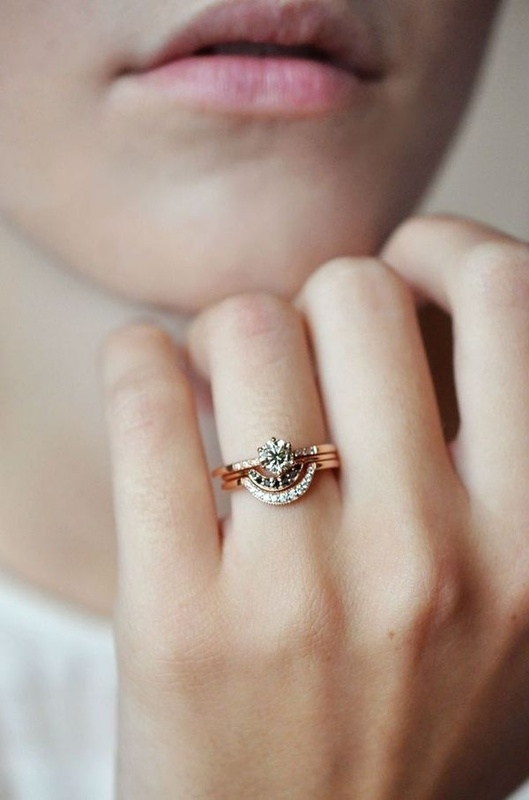 Purchase it from Etsy. 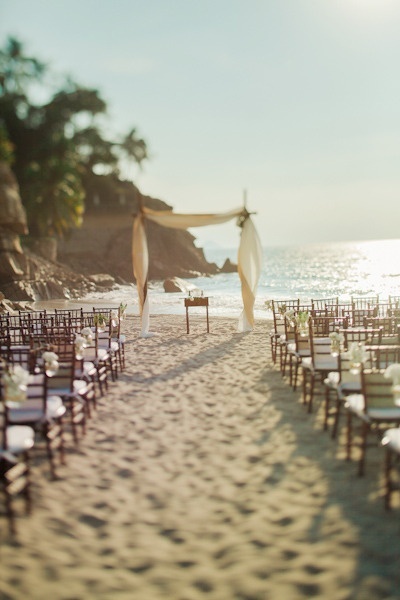 Does it get any more idyllic than a rustic beach ceremony? 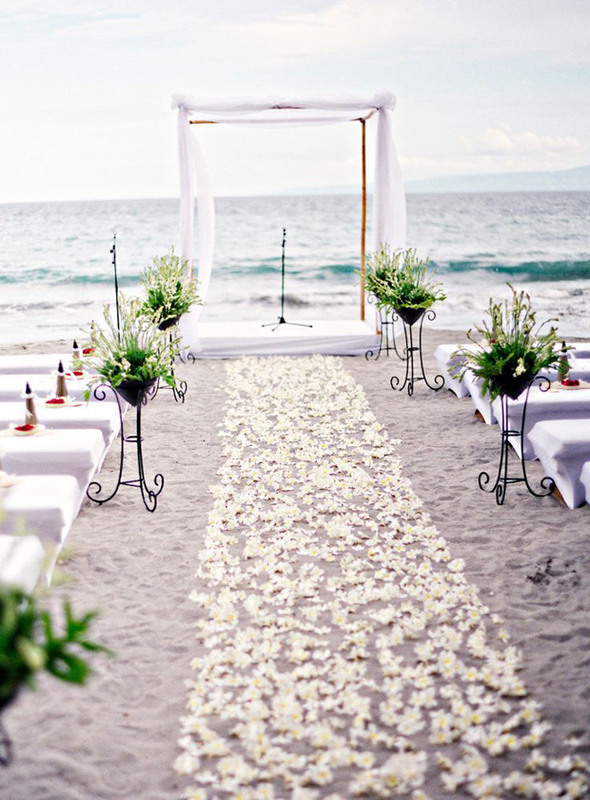 Imagine the cool sand between your toes and the soft breeze in the air! 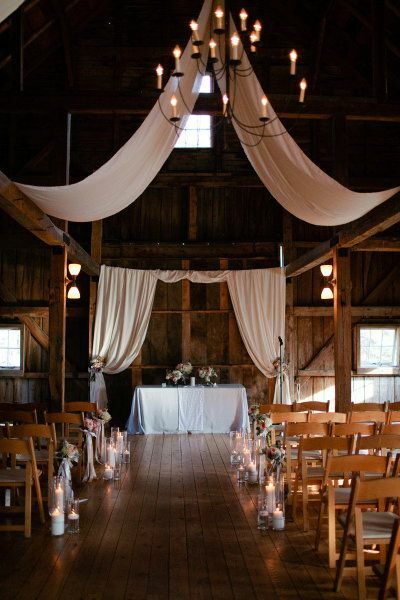 Or maybe a rustic country house setting? 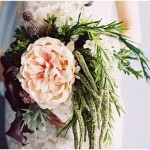 Sometimes nature really is your best wedding accessory! 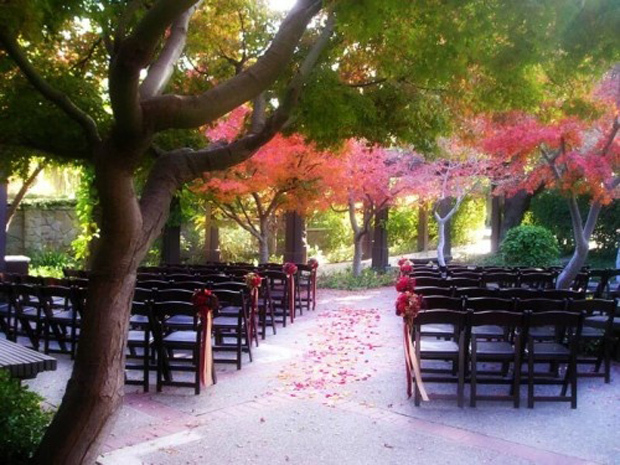 I love the way this ceremony complements the gorgeous red leaves on the trees. Gorgeous!! 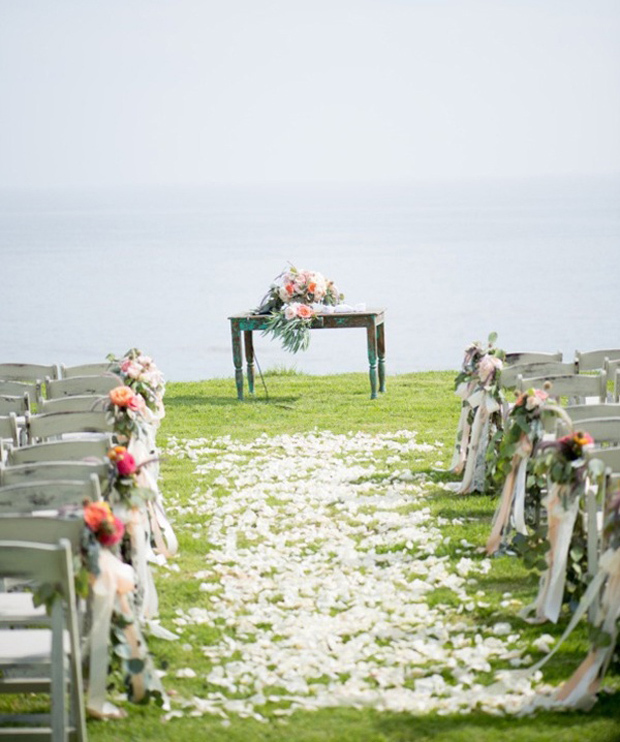 This ceremony aisle on the edge of a cliff is just spectacular. Imagine the view! 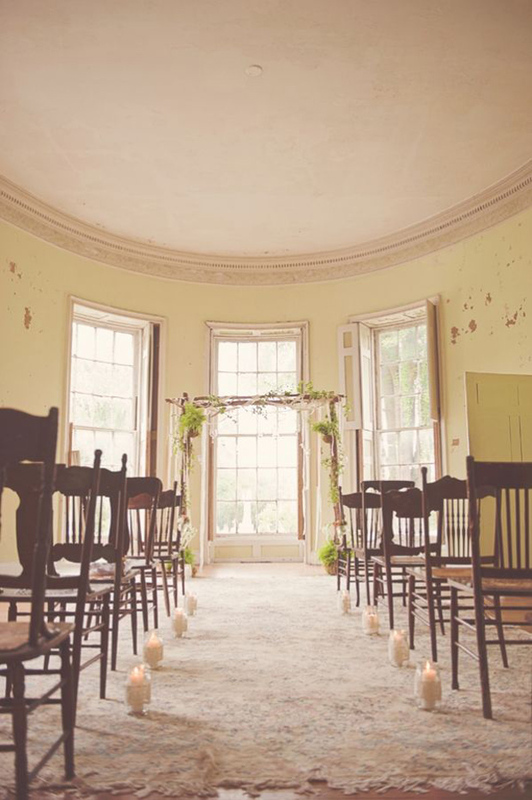 Loving the shabby chic styling too. 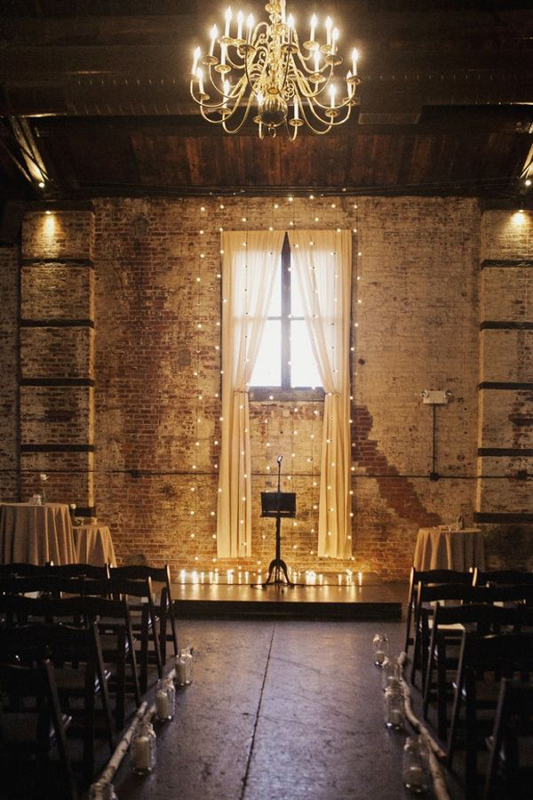 This next ceremony space is gorgeously modern. 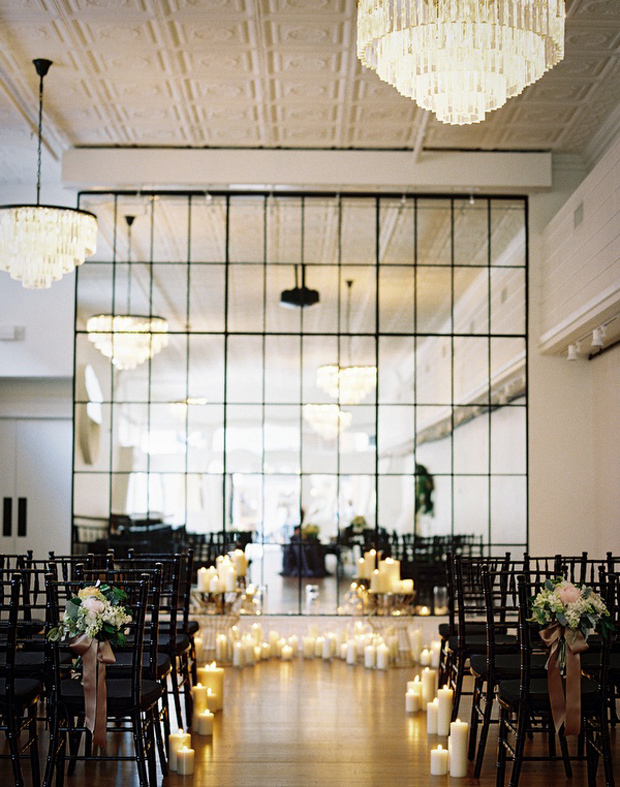 The mirrored backdrop looks very elegant and chic and opens up the whole space by reflecting the room back. 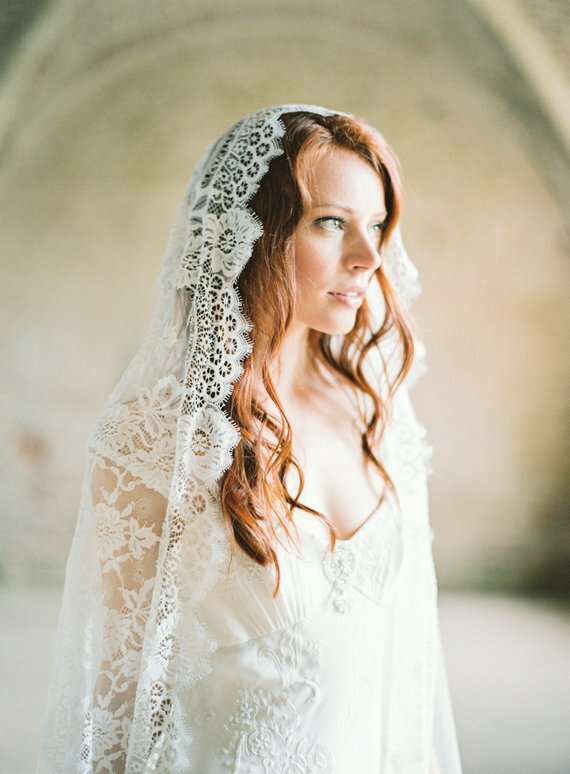 Great for creating much needed light and style. 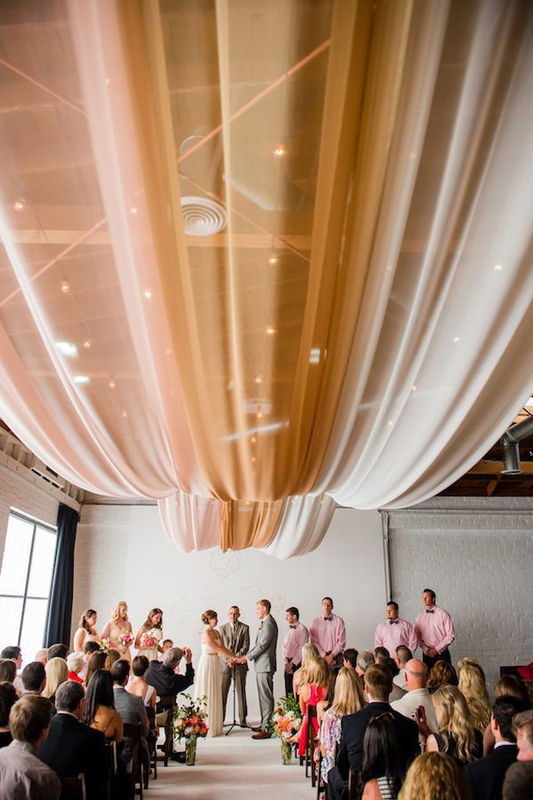 Drapes can totally transform a wedding space and definitely add the romance factor. You can also play around with various weights and textures of materials, twisting and folding them in creative ways. This opaque draped material with the lighting behind totally transforms the space. Loving the slight ombre affect as well. This shabby chic room barely needs decoration. 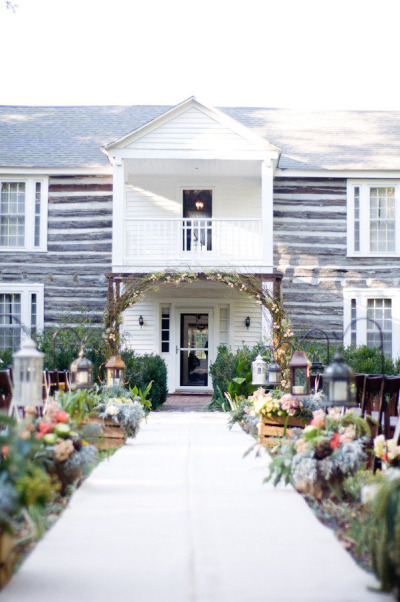 Just a gorgeously rustic arch and you’re ready to say your ‘I do’s’. 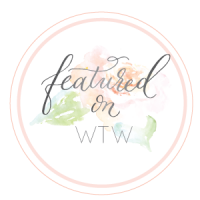 So I hope these magical aisles have inspired you? If you’re wanting to create a magical space, think about the following. Light, how can you use this to your advantage? 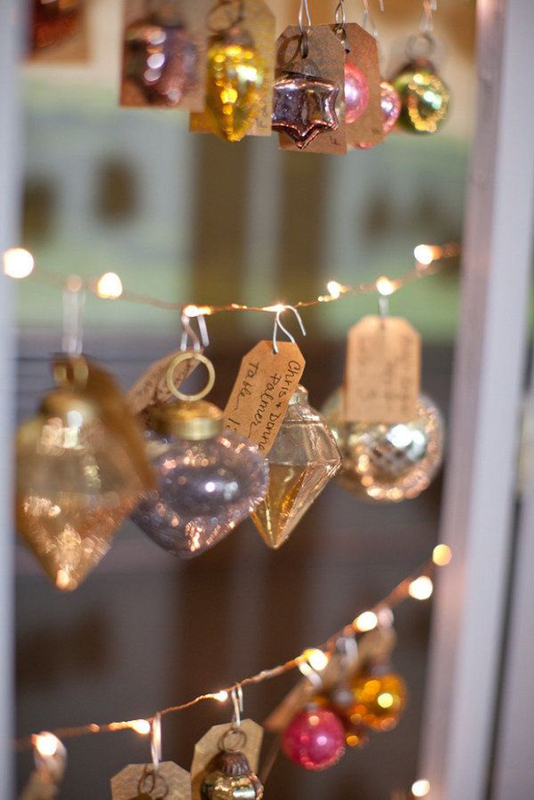 Candles and fairy lights 100% create atmosphere. Nature, choosing a naturally beautiful space means you only need to add enhancements to create the magic! 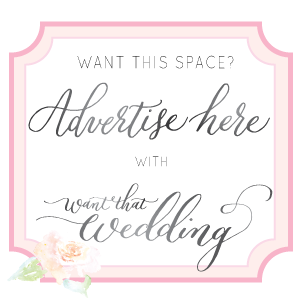 Materials, think of various items, props and furniture you can use to create focus points (backdrops) bring that wow factor to your ceremony.